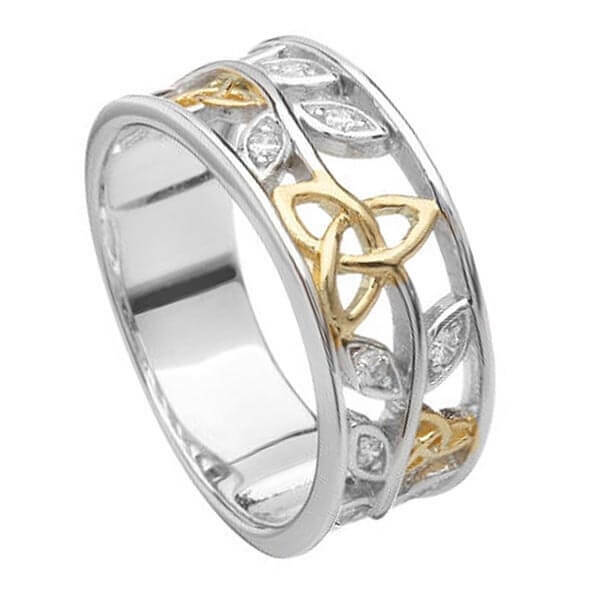 Several golden Trinity knots sit within this Sterling silver band. 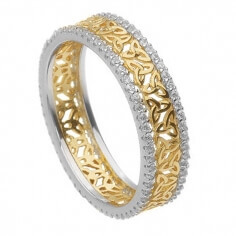 Leaves with cubic zirconia centers sparkle between each of the knots. 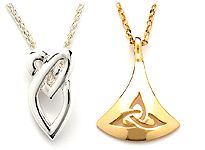 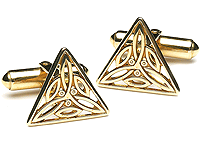 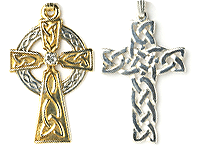 The Trinity knot is thought to represent the three Celtic goddesses but also the future, past and present. 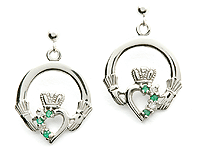 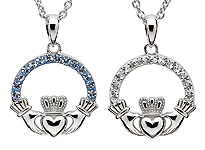 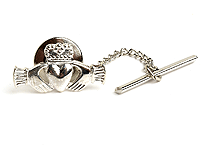 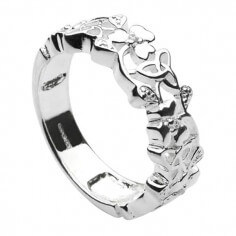 Handmade in Ireland by experienced artisans and hallmarked by the Dublin Assay Office in Dublin Castle.